‘We’re taking one game at a time’ – oh, no, they’re not! Simon Middleton and his staff have conflicting requirements as they set out on another 6 Nations journey. Yes, they want to win every game they play; but they also need to give equal opportunities to all their contracted players. In another world, many of the seven players on an EPS agreement would be first choices on their team-list. So the management will have sketched out at least two, if not three likely starting line-ups for the 5-match series. History tells them that the two most demanding hurdles come in the opening furlong. They have made a quite fascinating blend of choices – on the one hand, the players currently the best in the land in their position, for example McKenna, Smith, Bern and Packer. At the other extreme, Galligan finds a place on the bench after being brought in as a late addition to the training squad’ Beckett, the Under 20’s No 8, starts on the blind side; and both the back-row players, Shaunagh Brown and Bryony Cleall, who were asked to try their hand in the front-row, are nominated in these new positions from the bench. Breach has to switch to the right wing. Smith played there against Ireland last year, but the top scorer in the Tyrrells deserves her claim to the No 11 shirt. The centre offers a delightful blend between the ultra-experienced Scarratt, and the youthful potential of Heard. Four players selected are on EPS agreements, plus Galligan. Both she and Bryony Cleall have yet to appear for their country. The squad totals a useful 630 caps between them. You may be sure that some of the missing names here will not be omitted nine days later in Doncaster. Their head coach, Adam Griggs, is delighted to have had more preparation time together for the squad than last year. Annick Heyraud, the French manager, has explained her thinking behind the controversial decision to offer only part-time (50%) contracts to the French 15s squad. Her philosophy is that a proper balance to life is essential for the modern rugby player. Having a separate interest and activity beyond the touchline is totally beneficial. Certainly, the English players now under full-time contracts will take some time to come to terms with their new 100% commitment to the game. They are being encouraged to keep up other contacts, for example, helping out with coaching at their local clubs. More untimely injuries have intervened in the past days. Vicky Fleetwood is added to the list of English absentees. 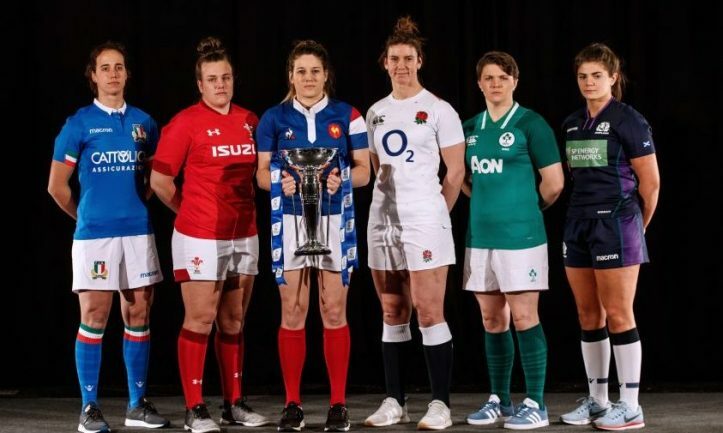 Elsewhere, Sioned Harries (Wales) and Jade Konkel (Scotland), both vital elements at No 8 in their nations’ well-being, are out of action for the foreseeable future. Let’s hope these absences don’t weaken the team effort unduly. We wish all of them a speedy recovery. A happier story concerns Alison Miller, the eminent Irish winger, who is restored to the bench for their opening bout against England. This is excellent news for all but her immediate opponents, who know the challenge she will set them. She has been out of action since the end of last year’s championship.